Listed below are all of our amateur radio programs currently available, along with their individual registration fees. We also offer package suites which include all of the programs listed, free registration of any additional amateur radio software that we add to the package, as well as free upgrades to existing programs. Please see the registration options at the bottom of this page for more details! FCC / RAC Call Data - Free! ARRL Kids Day Log 3.0 - Free! ARRL Rookie Roundup Contest Log 2.0 - Free! ARRL School Club Roundup Contest Log 2.2 - Free! Jamboree on the Air Log 2.0 - Free! We offer individual registration of any of the programs listed above. If you want to register an individual program, please go to that particular program's page on the web site and use the PayPal button at the bottom of that page for individual registration. Register a combination of programs, but not a package suite. We offer combination registration of two or more of the programs listed above. If you want to register a combination of programs without registering a package suite, please use the Miscellaneous PayPal button at the very bottom of this page and follow the instructions for ordering. 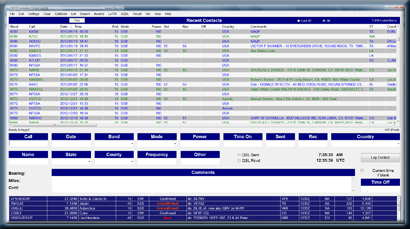 The N3FJP Software Package without CD includes full registration of all my amateur radio software, but does not include a CD. Simply download the software programs from this website as needed. This option also includes free registration of any additional amateur radio software that I add to the package, as well as free upgrades to existing programs. There are no annual / maintenance costs of any kind. Simply pay once and you are set with N3FJP Software for life! This option is a great deal and your best value! To register all the programs (more than one hundred in all) individually would cost over $400.00! 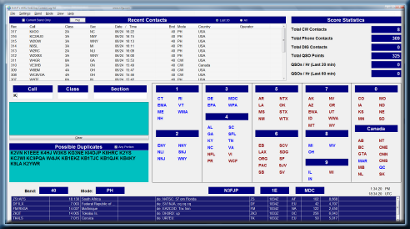 The N3FJP Software Package & CD (shipping/handling included) includes full registration of all my amateur radio software on a CD, free registration of any additional amateur radio software that I add to the package, as well as free upgrades to existing programs. This option is a great deal! To register all the programs (more than one hundred in all) individually would cost over $400.00! That said, our package without CD above is an even better value! Here's why! This Purchase Option is the CD ONLY - NO registrations included. Registered package users may use this option if you would like to purchase an updated CD. To purchase by credit card via PayPal, please click an icon below. Please be sure to include your call sign with your order by clicking "Add" for Special instructions to the seller on the PayPal order form in the Shipping address section. Register all my software at once as a package deal and save hundreds! N3FJP Software Package without CD - Only $49.99! N3FJP Software Package without CD includes full registration of all my amateur radio software (more than one hundred programs in all), but does not include a CD. Simply install the software from this website, instead of a CD, whenever you like. This option also includes free registration of any additional amateur radio software that I add to the package, as well as free upgrades to existing programs. There are no annual / maintenance costs of any kind. Simply pay once and you are set with N3FJP Software for life! This option is a great deal and your best value! To register all the programs individually would cost over $400.00! N3FJP Software Package & CD (shipping/handling included) includes full registration of all my amateur radio software (more than one hundred programs in all) on a CD, free registration of any additional amateur radio software that I add to the package, as well as free upgrades to existing programs. This option is a great deal! To register all the programs individually would cost over $400.00! That said, our package without CD above is an even better value! Here's why! Upgrades, Miscellaneous & Other Specialty Software Purchases - $$ You add the amount. Please use this PayPal icon to upgrade to the package deal, register any other combination of programs or any of the Specialty Software from the Other Programs page. MD residents please add 6% sales tax. Please be sure to include your call sign and the name(s) of the product you want to register.